The one who makes all this possible… the lady behind the Merkin. This rock’n’roll pyromaniac redhead will really get you hot under the collar. From a fire-eating Tiki temptress to a flag wielding greaser-girl, B movie Cobra Queen and even Robin Hood, Scarlett Daggers’ unique acts certainly make her stand out from the crowd. 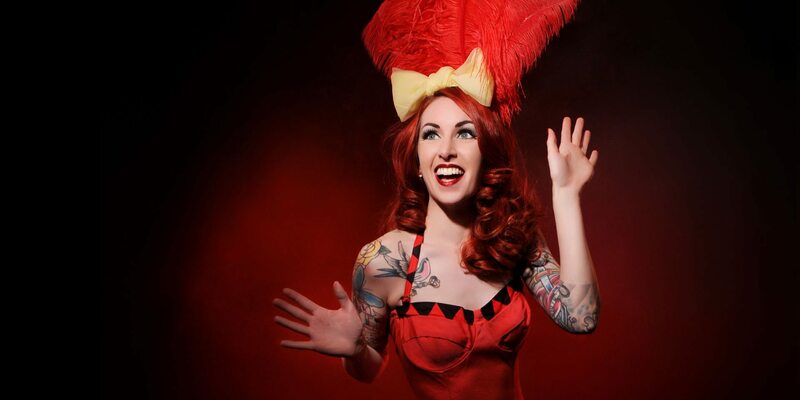 With over 10 years in burlesque under her garter belt Scarlett has performed across the UK and Europe and produces regular shows in Nottingham, Derby and Birmingham.